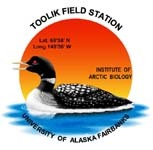 » Carbon and nitrogen stable isotope values for lake trout from 6 different Arctic lakes near Toolik, Arctic LTER 1987 to 1988. All isotope samples are muscle tissue dried at 60 deg C. Total length and wet weight were measured in the field. Ages were calculated using otolith measurements. All isotope values are in per mil (o/oo) and are calculated as 13C or 15N (o/oo) = [(R sample/R standard)-1] x 1000, where R is (15N/14N) or (13C/12C). Results are reported versus atmospheric nitrogen or PDB as standards. Version 2: 13Feb90. Changed the file name from LTisotop to 88KLLTIS and added titles to the fields in quattro.